Do you ever question the opinions you hold about people who aren't like you? In a country that prides itself on being a melting pot, it seems that many of us have been raised to believe that, once melted, the end result should resemble only one of the ingredients. Discrimination is rooted not just in seeing 'the other' but in being led to believe that ';other' equals 'worse'. 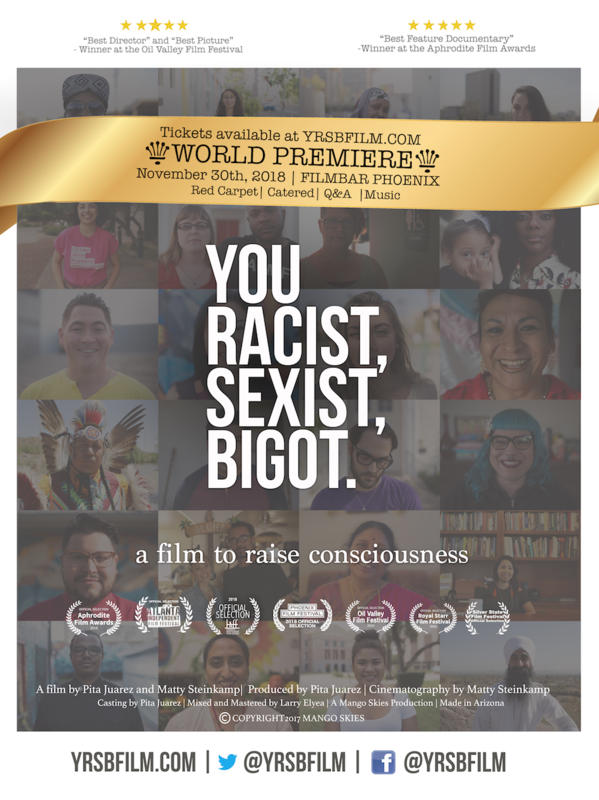 This film shares a rainbow of amazing humans in order to tear down the walls that prevent us from seeing that we are far more similar than we are different and that it is the differences which give us our own unique beauty. General Admission for $25 per ticket includes Catered Red Carpet Event +movie.